Lower Saucon Township encourages its residents to report complaints regarding odors, noise, or other issues related to the IESI Bethlehem Landfill directly to the PA Department of Environmental Protection. The PA DEP maintains a log of complaints received which are followed-up on by their staff. If odors are detected, individuals should call the PA DEP (toll free) Complaint Line at (866) 255-5158. Press "2" to be directed to the Northeast Regional Office complaint representative/answering service. If a gas odor (natural gas, landfill gas) is detected in someone's home or along Applebutter Road/Ringhoffer Road/Steel City area, individuals should immediately call 911. Emergency personnel will contact the PA DEP if their assistance is needed. Additionally, IESI Bethlehem Landfill maintains a Community Hotline for residents, which you can also phone to report complaints about odors or other issues directly to their staff. You can call them after hours and weekends at 610-317-3200, Option #4 – you will then receive a call back from Landfill Management. Chrin Slope Failure Report - Click here to view the report. Health Consultation - Alliance Landfill Site - Click here to view the report. PA DEP response letter from Roger Bellas on IESI Bethlehem Landfill odors. Click here to read the letter. PA DEP 4/21/2015 Notice of Violation. Click here to read the letter. HEA 7/7/2015 letter to Roger Bellas of DEP with Review Comments of the Technical Consultant Committee on the Southeastern Realignment dated 7/6/2015. - Click here to read more. PA DEP 09/23/2015 letter regarding DEP's evaluation of odors associated with BRE and gas generated by the IESI PA Landfill - Click here to read more. Mobile Analytical Unit (MAU) report generated by PA DEP Bureau of Labs as a result of the event that was completed in June 2015. The report includes raw data and does not include any interpretation of the data that was collected. This report has been forwarded to the PA Dept. of Health and ATSDR to assist them in their public health evaluation. Click here to see the reports. Letter dated 12-22-16 from the PA Dept. of Health regarding the environmental exposure study that has been completed. Click here to see the report. IESI's Air Quality Plan Approval from PA DEP dated September 15, 2017. Letter from Rep. Robert Freeman dated 03-04-16 regarding the change of the date for the Public Hearing on the Proposed Landfill Expansion. Letter from Martin and Martin dated 03-29-16 regarding IESI Southeastern Realignment - receipt of review letters from Boucher and James and HEA. Letter from Martin and Martin dated 03-29-16 regarding IESI Southeastern Realignment - receipt of amended review letters from Boucher and James and HEA. Zoning Hearing Board Conditions - Special Exception Conditions for Southeastern Realignment dated 04-06-2016. Letter from the Township to Roger Bellas of DEP with comments for the DEP Hearing being held on Wednesday, 04-13-2016. Letter from George Heitczman dated 04-19-2016 regarding the Special Exception voted on by the ZHB. Letter from DEP dated 09-27-2016, regarding second environmental assessmenet review. Letter from Martin and Martin dated 12-15-2016 to PA DEP regarding their response to the EAP letter dated 09-27-16. Letter from Martin and Martin dated 01-18-2017 to PA DEP regarding their January 9, 2017 letter to PA DEP regarding EAP LST response. Letter dated 04-17-2017 from PA DEP regarding the environmental assessment for IESI Major permit modification-Southeastern Realignment: Benefits outweigh potential harms of the project. Letter dated 05-04-2017 from PA DEP regarding the second public meeting on the proposed Landfill Expansion. Emission inventory production report dated February 24, 2017 from PA DEP, Bureau of Air Quality. Comment Letter to PA DEP, dated May 30, 2017 from Lehigh Valley Planning Commission. Landfill Technical Consultant Committee Comment Letter on Technical Review dated May 31, 2017. Martin-Martin Response to Landfill TCC Comment Letter on Technical Review dated July 7, 2017. PA DEP letter dated August 9, 2017 - Technical Deficiency Letter. Martin and Martin Inc. letter dated August 11, 2017 - Response to Technical Review. Hanover Engineering Letter dated September 1, 2017 regarding their review of the IESI Phase IV and Southeastern Realignment Land Development Plan. Boucher & James Letter dated September 1, 2017 regarding their review of the IESI Phase IV and Southeastern Realignment Land Development Plan. Martin and Martin Letter dated September 1, 2017 with their response to HEA's and B&J's letters of September 1, 2017, which are above. PA DEP letter dated September 8, 2017 approving IESI's Major Permit Modification for the Southeastern Realignment. Martin & Martin Letter regarding IESI's Southeastern Realignment Cell SE-1A Construction Schedule & Well Decommissioning Plan. Township Technical Consultant comments dated September 13, 2017 on DEP Issued Permit Modification. Letter from Land Air Water Legal Solutions dated September 21, 2017 acknowledging the existing Host Municipal Agrfeemetn applies to the Southeastern Realignment. Letter from SCS Engineers dated October 2, 2017 regarding notification of Title V Operating Permit Renewal Application. Letter from SCS Engineers dated October 3, 2017 regarding notification of Title V Operating Permit Renewal Application. Letter from SCS Engineers dated October 11, 2017 regarding Landfill Gas Well Permanent Decommissioning Request for IESI. Letter from Martin and Martin dated November 22, 2017 regarding the updated Transportation Compliance Plan and Nuisance Minimization Control Plan. Letter from SCS Engineers regarding Semi-Annual Title V Monitoring Report from January - June 2017. Letter from Martin & Martin on SE Realignment Groundwater Plan, Form 37, and Form 18. Per the Host Agreement between the IESI Bethlehem Landfill, located on Applebutter Road in the Township, and Lower Saucon Township, "IESI and the Township shall continue to participate in the Lower Saucon Township Landfill Committee ("Landfill Committee") to monitor and review the operation of the Landfill. The Landfill Committee shall consist of two IESI representatives and two residents from the Township. The Landfill Committee shall meet monthly or at such other intervals as mutually agreed upon by the Landfill Committee members, and shall have the discretion to set its own meeting schedules and administrative procedures as the Landfill Committee deems necessary. The Landfill Committee shall be authorized and requested to periodically monitor the Landfill operation and provide reports on the Landfill operation to IESI and to the Township. The Landfill Committee also shall be required and empowered to receive, review and report on Landfill related complaints. The Landfill Committee shall be advisory only, and shall have no legal authority to bind either IESI or the Township. The Landfill Committee meetings shall be held within the Township and open to the Township, and/or its designees and Township residents to attend. IESI will provide reasonable, escorted access to the Landfill and property owned by the City over which IESI has an easement to the members of the Landfill Committee and to the Township, and/or its designees." The Landfill Committee meets monthly on the 3rd Thursday of the month at 1:00 p.m. at the Council Meeting Room at Lower Saucon Township located at 3700 Old Philadelphia Pike, Bethlehem. You can review a copy of the current meeting minutes by clicking on any active meeting date in our table below. use our drop down menu to review minutes from a previous year. 04-18-19: Aria Energy presentation at the April 17, 2019 Council meeting. Click here to see the document. 11-14-18: The Adelphia Gateway Pipeline - What You Need to Know. Click here to find out more. 08-01-18: Letter from Adelphia Gateway with additional information following a conference call. Click here to see the document. 07-17-18: This notification is served on you in accordance with the requirements set forth in Section 385.2010 of the Commission's rules. On 7/17/2018, the Federal Energy Regulatory Commission (FERC), Washington D.C., published the following issuance: Docket(s): CP18-46-000 Description: Letter requesting Adelphia Gateway, LLC file a complete data response within 20 days of the date of this letter re the Adelphia Gateway Project under CP18-46. You can view the issuance here. You may also eSubscribe to the docket number(s) in the issuance by clicking on the following link to login to FERC Online here. 05-30-18: The Adelphia Gateway Pipeline project poses significant threats. 05-18-18: USA before FERC on the Adelphia Gateway Project - Comments on LST Environmental Issues and the Scope of the Environmental Assessment. Click here to see the document. 05-10-18: FERC has set two public scoping meetings on the Adelphia Gateway pipeline project. Click here to find out more information. 02-20-18: Email response from Adelphia on question from the Township regarding changeover of existing pipelines. Click here to read the question and response. 02-09-18: Motion to Intervene of Lower Saucon Township. Click here to read the motion. 01-26-18: Letter to landowner of notification of proposed Adelphia Gateway Project. Click here to read the letter. 01-23-18: See FERC Notice of Application for the Adelphia Pipeline. The notice provides that the persons wanting to obtain legal status by becoming a party to FERC's proceeding must file a motion to intervene by February 13, 2018. FERC will accept environmental comments from non-intervenors, but such person would be unable to challenge FERC's decision no matter what it may be. Click here to read more. 01-22-2018: Entire Adelphia Gateway Project proposed pipeline route which includes the Lower Saucon Township portion of the PennEast pipeline. Click here to see the google earth map. 01-16-2018: Adelphia Gateway Project files application with FERC for Certificate of Public Convenience and Necessity. Click here to read more. 01-03-2018: Letter dated January 3, 2018 from Stephen DeFrank with answers to the letter the Township sent to them on the Adelphia Gateway Project. Click here to read more. 01-02-2018: Adelphia Gateway Project will repurpose existing infrastructure to provide consumers in southeastern PA with additional access to low-cost, PA-produced natural gas. Click here to read more. 12-15-2017: Adelphia Gateway Project announced the successful conclusion of its binding open season with bids exceeding more than double the initial offered capacity and terms up to 20 years. Click here to read more. 11-02-2017: New Jersey Resources announces the acquisition of Interstate Energy Company (New Adelphia Gateway Project). Click here to read more. 06-28-18: Letter from PA DEP to PennEast Pipeline regarding an extension request. Click here to read more. 06-11-18: PennEast Pipeline Vs. Petrie, LST, Ridgestone Bank, and all unknown owners regarding entry and access. Click here to read more. 04-23-18: On Tuesday, May 8, 2018 from 6:30pm to 8:30pm at Easton Area Public Library, a panel of five attorneys will discuss how affected landowners and their supporters can protect their rights regarding FERC's approval of the PennEast Pipeline, and where to go from here. Click here find out more information. 03-16-18: The following was submitted to FERC, Washington, D.C. - Request for rehearing or appeal of February 22, 2018 Order of the Commission's Tolling Order of Delaware Riverkeeper Network. Click here see the document on the FERC website. 03-16-18: The following was submitted to FERC, Washington, D.C. - Homeowners Against Land Takings - PennEast, Inc. [HALT] submits notice of its Petition for Review of FERC's 1/19/18 Certificate Order and 2/22/18 Tolling Order in the U.S. Court of Appeals. Click here see the document on the FERC website. 02-20-18: FERC's acknowledgement of the acceptance of Lower Saucon Township's Request for Rehearing and for Stay for filing. The FERC Office of the Secretary has accepted the electronic submission for filing [Acceptance for filing does not constitute approval of any application or self-certifying notice]. Click here see the document on the FERC website. 01-29-18: Order Issuing Certificates for PennEast Pipeline. Click here see the document. 01-19-18: Two Commissioners issued separate concurring statements recognizing the problems with access to property for surveys and with the limited evidence of need for the project. Click here to read the statements from Commissioners Cheryl LaFleur and Neil Chatterjee. One Commissioner actually dissented from the decision to approve the project. Click here to read the statement from Commissioner Richard Glick. 05-31-17: May 2017 Update for PennEast Pipeline. Click here to read more. 04-28-17: Letter dated April 28, 2017 from Township of Hopewell regarding a resolution objecting to PennEast Environmental permit applications on Township property. Click here to read more. 04-26-17: PennEast deficiency letter from State of NJ DEP dated April 26, 2017. Click here to read more. 04-07-17: Federal regulators confirm PennEast can be built with minimal impact on the environment. Click here to read more. 04-07-17: Notice of Availability of the Final Environmental Impact Statement for the Proposed PennEast Pipeline Project. Click here to read more. 02-03-17: Notice of Revised Schedule for Environmental Review of the PennEast Pipeline Project. Click here to read more. 12-28-16: Letter from PA DEP regarding Incompleteness Review #2 for Lehigh, Moore, East Allen, Upper Nazareth, Lower Nazareth, Bethlehem, Easton City, Lower Saucon, and Williams Townships. Click here to read more. 12-28-16: Letter from PA DEP regarding Incompleteness Review #3 for Luzerne, Carbon, Northampton and Bucks County. Click here to read more. 12-22-16: Letter to Sarah Binckley at AECOM and Anthony Cox at PennEast Pipeline Company regarding the Stormwater Management Analysis for the PennEast Pipeline Project. Click here to read more. 12-06-16: Letter from Charles Elliott dated December 5, 2016, regarding comments from LST on PennEast response to post-DEIS environmental information request. Click here to read more. 11-23-16: November 2016 Update on Pipeline Route. Click here to read more. 11-9-16: Letter dated November 9, 2016 from AECOM regarding the stormwater management analysis for the PennEast Pipeline Project. Click here to read more. 09-27-16: Notice of revised schedule for environmental review of the PennEast Pipeline Project. Click here to see more. 09-27-16: Email from Lauren Brown regarding the PennEast Route update for September. Click here to see more. 09-22-16: Comments from PA DEP dated September 19, 2016 on PennEast Pipeline Project Incompleteness Review No. 2. Click here to view the comments. 09-13-16: PennEast Pipeline Project - Lower Saucon Township comments on the Draft Environmental Impact Statement for the PennEast Pipeline. Click here to view comments submitted to FERC. 09-07-16: DEP will be taking additional comments for the PennEast Pipeline until September 26, 2016. Click here to share your comments via the FERC e-comment process. 07-27-16: Feds set six public meetings on the pipeline report so the public can comment on the PennEast project's impact. There will be a meeting in Bethlehem on August 15, 2016 at Best Western Lehigh Valley Conference Center at 300 Gateway Drive from 6:00 p.m. to 10:00 p.m. to collect verbal comments on the draft document. No presentation will be given by FERC. Verbal comments will be recorded by stenographers in one-on-one settings and transcriptions will be placed into the docket for the project. Click here to share your comments via the FERC e-comment process or click here to go to the PennEast pipeline website. Click here to read the newspaper article. 07-26-16: PennEast Pipeline Project - Draft Environmental Impact Statement. Click here to go to the FERC website to view the draft impact statement. 06-14-16: Letter from Attorney Charles Elliott dated June 10, 2016 regarding the Federal Clean Water Act for the PennEast Pipeline project. Click here to read more. 06-03-16: Please read the May 2016 PennEast Pipeline Update newsletter. Click here to read more. 05-12-16: Please read the letter written by Manager, Leslie Huhn, to Kimberly Bose at FERC regarding the Incompleteness Review Letters from different townships. Click here to read more. 05-04-16: Please read the letter from PA DEP regarding the Incompletedness Review on the PennEast Pipeline Project. Click here to see more. 03-30-16: Please read the update for landowners on the pipeline route. Click here to see more. 03-14-16: Please read the email from PennEast Pipeline regarding Cathodic Testing and the Township's response to their email. Click here to read the email. 03-08-16: The Township requested PennEast to deliver a presentation at a Township Council meeting on the proposed pipeline. PennEast said they are unavailable to participate in the Township's meeting. Please click here to read the letter. 02-25-15: The DEP presented the final report of the Pipeline Infrastructure Task Force to Governor Wolf, which identified a dozen top recommendations, along with a broader set of 184 suggestions, to help PA achieve responsible development of natural gas pipeline infrastructure in the Commonwealth. Click here to see more. 02-18-16: Response letters to AECOM regarding the PennEast Pipeline project. Please click here to read the letter regarding the request for land use. Click here to read the letter regarding the municipal stormwater management consistency review and click here to read the letter regarding the project municipal notification. 02-10-16: Here is the latest proposed alignment for the PennEast pipeline. Please click here to see the map. 02-08-16: PennEast Pipeline Municipal Notification. Please click here to read more. 02-08-16: PennEast Request for Land Use Response. Please click here to read more. 02-08-16: PennEast Pipeline Municipal Stormwater Management Consistency Review. Please click here to read more. 12-22-15: PennEast Pipeline has a route update as of December 2015. Please click here to see the letter. 11-09-15: Regarding the PennEast Pipeline, the motion to FERC to intervene has been accepted for filing. Please click here to read more. 10-19-15: PennEast Pipeline Project Certificate Application Filing Notice with FERC to construct, install, own, operate and maintain approximately 118-miles of the pipeline. Please click here to read more. 10-15-15: On October 15 and October 19, hear from impacted landowners and come and learn more about how the PennEast Pipeline could impact you. Please click here to see the flyer. Read the article on coalitions launching a campaign to educate and unite the PA Communities impacted by the PennEast Pipeline. Please click here to read the article. 10-12-15: PennEast Pipeline provided an updated map for the entire route on September 30, 2015 and indicated that the overall alignment of the route has been adjusted within the 400 foot survey corridor to avoid and/or minimize impacts to wetlands and water bodies, cultural resources, agricultural lands and other sensitive habitats. In addition, they indicated that there have also been adjustments to the project route due to the finalization of valve locations. To view this map, please click here. 10-01-15: PennEast Pipeline project update for September 2015. Please click here to read more. Click here to see the updated maps. 09-03-15: PennEast Pipeline project update for August 2015. Please click here to read more. 08-20-15: PennEast Pipeline route change through Lower Saucon Township July 2015. Please click here to read more. 08-20-15: Memo from Charles Elliott, regarding a brief update on the PennEast Pipeline project activities over the last sixty days. Please click here to read more. 08-13-15: Letter sent from Lower Saucon Township to FERC regarding the impact of the proposed PennEast Pipeline route on Bethlehem Authority Water Supply in Carbon County, PA. Please click here to read more. 08-12-2015: A coalition of concerned citizens against the pipeline and numerous other non-profit organizations are presenting "Stop PennEast Pipeline" march across the river. Click here for more information. 07-24-15: PennEast Pipeline Project Updated Route. Please click here to read more. Click here for the latest information on the PennEast Pipeline project. 06-25-15: There will be surveyors from Hatch Mott McDonald in the area of I-78 and Easton Road on Saturday, June 27, 2015 surveying the corridor along the highway and road only for the PennEast Pipeline project. 06-24-15: Supplemental comments to FERC from Lower Saucon Township regarding deficiencies and errors in PennEast Pipeline's response to scoping comments. Please click here to read more. 06-23-15: The latest PennEast Pipeline Project update from PennEast officials. Please click here to read more. 06-09-15: At the request of the Lower Saucon Township Council, Solicitor Charles Elliott was directed to send a letter to the Federal Energy Regulatory Commission. Please click here to read the letter. 06-01-15: Penn State Extension will be holding a workshop on June 10, 2015 "Making Sense of Natural Gas Pipelines and Right-of-Way Agreements". Please click here to read more. 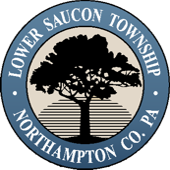 04-21-15: Lower Saucon Township's submission to the U.S. Inspector General regarding selection of Tetra-Tech as 3rd party general contractor. Please click here to read more. 04-01-15: PennEast engineers have revised and refined portions of the proposed route based on additional feedback from numerous stakeholders. Please click here to read more. 03-17-15: PennEast has filed a response to FERC regarding the scoping comments. Click here to view the document. 02-27-15: REMINDER - Today, Friday, February 27, 2015, is the deadline to file your comments to FERC. 02-26-15: The scoping comments on the PennEast Pipeline project have been filed. Please click here to see the scoping comments and click here to see the appendices to the comments. 02-18-15: Residents can submit comments and documents to FERC at www.ferc.gov through their eComment or their eFiling. 01-16-15: PennEast Pipeline continues to evaluate route options throughout FERC's review process. The interactive mapping tool was updated and reflects the survey corridor associated with the current preferred alternative route. Please click here to read the article and see the link to direct you to the revised interactive mapping tool. Please click here to see PennEast Pipeline's project overview of their project. 11-26-14: PennEast Pipeline provided various maps for Lower Saucon Township regarding the proposed pipeline. Click here to see the map of the Township showing the new route on the east side of SR33 and Lehigh River crossing. Click here to see the map of the Township with environmental features overlaid. Click here to see the map of the area showing any geological faults. 11-05-14: PennEast Pipeline Company has developed an interactive mapping tool to assist landowners, neighbors and community leaders. Click here to read the letter from Alisa Harris from PennEast Pipeline Company. 10-24-14: PennEast Pipeline Company invites you to their open houses to provide you with accurate information on the proposed pipeline. Click here to find out the date and where the open houses will take place. 10-17-14: Information on PennEast Pipeline Project pertaining to Lower Saucon Township. There are four sections to ther PowerPoint document. Click on each section. Section 1; Section 2; Section 3; Section 4. 10-13-14: On October 10th, PennEast provided the attached map of the proposed route through Lower Saucon Township. Click here to view the map. 10-10-14: Here are frequently asked questions about the PennEast Pipeline Project. Click here to view the FAQ's. 10-09-14: Included in the Federal Energy Regulatory Commission (FERC) filing were more specific maps showing the proposed route. Click here to view USGS Topographic Quadrangle Map of Lower Saucon Township. On October 7, 2014, PennEast Pipeline Company, LLC, submitted its formal request to initiate pre-filing review by the Federal Energy Regulatory Commission (FERC). The application is the first step in requesting FERC certificate approval for the proposed pipeline. PennEast Pipeline is not required to use the comprehensive, multi-step FERC pre-filing review process; however, PennEast chose to request pre-filing in order to work cooperatively with the FERC staff on the technical engineering and environmental aspects of the project before a formal application is submitted. The pre-filing process creates the framework for the environmental analysis required of the location, design and permitting for construction of the proposed natural gas pipeline. Pre-filing also includes a formal structure for stakeholders along the proposed route to provide input and opinions regarding the proposed PennEast Pipeline. If approved for the pre-filing process, FERC will assign the PennEast Pipeline Project a docket number (Note: FERC Docket Number: Click here and then click on "File List" to view documents submitted with filing) and PennEast will share the docket number through its website and news release. Once a docket number is assigned, FERC will accept public comment regarding the proposal. PennEast anticipates beginning the process of submitting project documents to FERC by the end of October and plans to complete pre-filing and file a formal application in spring 2015. 3-23-18: UGI LNG Project - Final Land Development Plans. Click here to see the plans. 3-23-18: UGI LNG Project - Site Lighting Plans. Click here to see the plans. 1-10-18: UGI LNG Project NPDES Permit Drawings. Click here to see the drawings. 08-23-17: UGI Energy Services Notice of Right of Appeal for Storage Tanks on Ringhoffer Road. Click here to read more. 3-26-18: Public participation is an essential part of the Pollution Reduction Plan (PRP) because it enhances buy-in from residents, business owners, and landowners that may have an impact on pollution discharges, can uncover missing elements or errors in calculations, and builds cooperative partnerships among the Township and other entities. Click here to see the PRP.